Our last December left us hugely impressed and chomping at the bit to get behind the wheel. The first drive on the Ricardo Tormo Circuit near Valencia in Spain and on local roads in the area only reinforced our impression that this is not only the best 911 Carrera ever but also the unchallenged best all-round sports car. Interestingly, at 3,340 pounds (Carrera 4S weighs in at 3,450 lbs), the new 992 Carrera is almost double the weight of the original 911 of 1964, but with 450 hp on tap it is exactly 50% more potent than the 930 Turbo of 1978. With huge advances in chassis, engine, transmission and aerodynamics, as well as electronic driver aids, the new car is also faster on track than not just its predecessor but also some of the past super sports cars from Porsche’s own stable. The counterpoint is that the new Carrera 2S and 4S are dynamically the most versatile 911s ever, their new active damping taking ride comfort and everyday useability to new heights at one end of the spectrum while offering enhanced trackday talent at the other. , and the elegant simplicity of its detailing brings it bang up to date. Retaining the rear-engine configuration of its predecessors, this is a clean, honest and coherent design, now with matching front and rear under bumper graphics. We particularly like the fact that the active spoiler is now an integral part of the rear bodywork. As the Turbo width option proved so popular with the 991 there is now just one body style for the new car, with both its appearance and driving dynamics benefitting from the 1.5-inch increase in width. Taking a design cue from the 918 Spyder, the rear wheels are now an inch larger in diameter than the fronts. These 21-inch one-inch rear wheels really do make a visual difference, filling out the big rear wheel arches for a beefier, more purposeful stance. The roofline is unchanged and features a bonded in modular center that can be aluminum, magnesium, carbon-fiber or glass with a metal or glass sunroof insert. To save weight the new bodyshell has a higher content of aluminum and high strength, lightweight steel. So while the new car is larger than its predecessor, the more intensive use of aluminum has taken 44 lb out of the body-in-white. While all the extra new systems add up to an overall weight increase of 110 lb, aerodynamic drag is reduced thanks to better detailing and flush fitting powered door handles. The tail is distinguished by its thin full-width lighting strip, a design cue for all models in the current Porsche range, and the neat rear wing that is an integral part of the rear bodywork when at rest. The twin vertically aligned high-level brake lights on the vertical bars of the engine bay grille are also unique and distinctive. The panel gaps are even and the paintwork flawless, with build precision carried through to the totally new cabin. Porsche is big on driver-centric ergonomics, and the range of seat and steering wheel adjustment is good enough that most people will find the perfect driving position. The seats in our test cars were of the same style, but one had full leather while the other featured fabric center panels. Both proved equally comfortable although the fabric is warmer in winter and cooler in summer. It certainly holds you better on track. The 992’s instrument pack is a landmark in 911 history, with Porsche finally ditching the analog instrument pack for electronic displays. However, the big rev counter retains the analog centerpiece and is all that remains when you switch off the ignition and the readouts on either side go dark. The new 10.9-inch widescreen display is pretty intuitive to use, and we like the quality feel and precision of the five shortcut switches positioned under the screen. We also like the big, clear "M” for Manual button behind the small transmission lever that locks the transmission in the ratio you choose with the paddle shifter. This is important as the PDK gearbox software will otherwise automatically shift up or down even in Sport Plus mode. Compared to mid-engine sportscars the 911 has always had a huge practical advantage when a weekend away is on the agenda. Underlining its credentials as a daily driver, the deep, regular shaped front trunk swallows 4.66 cu fit of luggage, and an additional 9.32 cu ft becomes available when you fold down the rear jump seats. Bigger turbochargers mean bigger turbo lag, right? Normally yes, but Porsche’s engineers have managed to all but banish turbo lag from the 9A2 Evo 2,981cc flat-six motor. So whether you demand instant thrust to rocket away from the lights, engage in a rapid overtake maneuver, or simply come back on the throttle after lifting off, this engine has all its bases covered. Repositioning of two more efficient intercoolers for shorter flow paths along with perfectly matched innards of the new, larger turbochargers and a revised exhaust has significantly increased airflow through the induction system and reduced exhaust backpressure. This, along with Piezo fuel injector nozzles, and remapped ECU programming is where the extra 30 hp comes from. The brand new eight-speed PDK twin-clutch transmission is the perfect partner for this lusty forced aspirated engine. Its closely stacked gears provide a gear for every occasion, and where each ratio ends the next instantly takes over to keep the torque-rich motor on the boil. The counterpoint is what amounts to two overdrive gears, with 70 mph corresponding to around 1,600 rpm in top. This makes for relatively quiet and economical highway cruising, with a tank of fuel going even further than before. With 391 lb-ft of torque peaking at just 2,300 rpm, and maintained all the way to 5,000 rpm, the motor keenly revs out to its 7,500 rpm limiter with all 450 horses present and accounted for at 6,500rpm. A strong low-end punch and a soaring, feral top end provide the best of both worlds. Thanks to its perfect traction the 4WD Carrera 4S with Sport Chrono Package hits 60 mph in just 3.2 (C2S 3.3 sec) seconds, and tops out at 190 mph (C2S 191 mph). Official fuel economy numbers for the US versions have not yet been finalized. On the road, this wider performance envelope makes for a greater than ever spread of abilities. At one extreme you can treat the 992 like a normal car and amble along at normal road speeds, riding the stout torque curve, or you can punch it for junior league supercar performance at the other. The 911 Carrera’s performance repertoire has never been broader. I drove the Carrera 2S on the road and wet handling course, and the Carrera 4S on track, coming away with the impression that their perceptible differences were exactly as I had surmised, but with an added twist or two thrown in. The 911’s traditional traction advantage over all rivals comes from having its engine over the rear wheels. In the old days that meant spinning the wheels of a naturally aspirated rear-driven 911 on bone dry tarmac was a pretty tall order without brutalising the clutch. Now however, despite the massive 11.5J x 21-inch rear wheels shod with 305/30ZR21 Pirelli spec rubber the latest Carrera 2S will even wiggle its hips in second gear in a straight line on a dry road when you nail the throttle in Sport or Sport Plus. You can thank the huge slug of turbocharged torque for this. Of course if you are driving a Carrera 4S then the smaller 245/35ZR20 tires and 8.5J x 20-inch footwear on the front axle pass a proportionate amount of torque to the ground for total traction and even more rapid and fuss-free acceleration. I was pleased to find that the latest electronic control suite has been refined to the point where Sport Plus is now useable on the road with no downsides. In 997 days this setting was only really suitable for the track where you are either hard on the throttle or hard on the brakes. On the road Sport Plus was far too edgy, triggering downshifts at the slightest provocation. The latest incarnation of Sport Plus has a far less overtly rabid personality, yet manages to be no less razor sharp in the way that the engine, transmission and active damping rise to the occasion on a challenging road. Importantly in such a driver-focused car, you have to select the to activate it. The rationale behind this safety addition to the driving dynamics suite makes perfect sense since the rain sensor that detects drops of water on the front windshield only works when it is actively raining, but not when the ground is soaking wet or covered in snow. Porsche provided a test area next to the racetrack that had sprinklers to keep part of the surface wet. On the small handling track replete with red and white kerbs it was very clear from doing a couple of laps in Sport Mode and then Wet Mode just how effective the system is at keeping you safe and sound. Applying throttle exiting a bend in Sport Mode on the wet handling circuit saw the back end step out instantly, requiring a big armful of opposite lock to catch. Fine for an experienced driver but heart stopping for anyone else. With Wet Mode engaged the softer throttle response reigning in the build-up of torque, and the slip detected and neatly contained before oversteer could develop. In terms of the subjective feeling you get from its intervention the system works fairly unobtrusively, gently bringing the car back into line when mechanical grip is used up. It is quite unlike the ‘hard cut’ you normally experience when ESP jumps in to save you from the laws of physics. Developed in co-operation with Bilstein, the newly developed active dampers provide an absorbent and comfortable ride for a sports car. Body control is impeccable even in Comfort mode, and there is an Individual Mode that allows you to program in combinations like Sport for the engine and gearbox and Comfort for the damping, which many find ideal for daily road use. The 992 uses a completely new engine mounting system with the mounts now part of the rear structure and positioned 168 mm further forward and 113 mm further outboard. This improves isolation from road shock as well as body control by reducing vertical engine movement within the chassis. We were wondering what effect the new EU mandatory particulate emissions filter would have on the exhaust sound signature. As two Carreras and one GT3 RS pace car went past us on full chat on every lap session it was very clear that the 3.0-liter twin-turbo Carrera has a deeper chested flat-six soundtrack when compared to the screaming naturally aspirated 3.8-liter GT3 RS. The good news is that the engine noise that reaches the cabin is a fine mix of flat six sounds from the air and water-cooled 911 ‘archives’ overlaid by some new induction and exhaust keynotes. I am sure 911 buffs will approve. Right from the first bend on the very technical Ricardo Tormo Circuit near Valencia, it was clear that the 992 is something special. Whatever you might say about turbocharged motors there is no question that their superior swell of low-end torque makes for a faster exit speed from a given bend. With traction a traditional 911 strength, four-wheel-drive is icing on the cake. So from the get-go the GT3 RS pace car could not get away. It would take a circuit with long fast sweepers like the Nürburgring for the GT3 RS to use its aerodynamic downforce and 50 hp top end to advantage, but Ricardo Tormo is not such a track. The GT3 RS has 500 hp at a screaming 8,250 rpm, with 339 lb-ft of torque at 6,000 rpm, and it weighs about 140kg less than the Carrera 4S. However, the greater low down punch of its twin-turbo motor and 4WD take a big bite out of those advantages allowing the 992 Carrera 4S to hold its own. And as our test cars were also fitted with PCCB brakes, the only significant advantage the GT3 RS had was its stickier Michelin Cup tires. The video footage taken from the new Porsche Track App shows just how closely we stuck to the GT3 RS, whose driver later admitted that he was not far off the limit by the end of our session. Trail braking into bends, the 992 feels immensely stable, its turn-in aided by the rear axle steering. The front end is very planted, which allows you to throttle steer the car and play with mid-corner attitude to some extent. Obviously, this is less evident with the Carrera 4S than the 2S. What came out of the track session was the fact that the new 992 Carrera 4S is very user-friendly on track, where its impeccable handling and grip allow you to deploy full noise grunt very early exiting bends. The 2020 911 Carrera S has a base MSRP of $113,300, with the 911 Carrera 4S starting at $120,600 excluding delivery, processing and handling fee. , you can price the 911 Carrera 4S to over $190,000 (some paint jobs come in at over $3,000 and leather interiors at over $4,000). But if you plan on being thrifty, the Racing Yellow paint is a no-cost option and you can drive home a Carrera S for less than $120,000 by ticking a handful of options like power-folding mirrors and a heated steering wheel. The order book is open, with cars reaching US dealers in summer 2019. 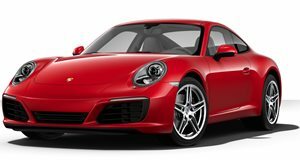 Verdict: Carrera 2S or 4S? Now here is the answer to a question that enthusiasts have been asking ever since the 964 Carrera 4 appeared in 1989. Yes, the Carrera 2S does indeed have slightly purer and more tactile steering feel that is also a touch lighter than its 4WD sister. That said the 4S also has excellent steering, and it is really a matter of degree. Given a choice I would take the Carrera 4S as a versatile daily driver, and the more playful Carrera 2S for the track. Already well impressed after the first ride at Hockenheim in December, I came away from the new 992 Carrera drive event with the notion that Porsche really has polished the 911 closer to perfection than ever before. A sobering thought for the future is that if the new Carrera is this fast, the GT and RS models developed from the new MMB modular platform will surely be off the charts.